When you close your eyes and picture your ideal escape, what comes to mind? 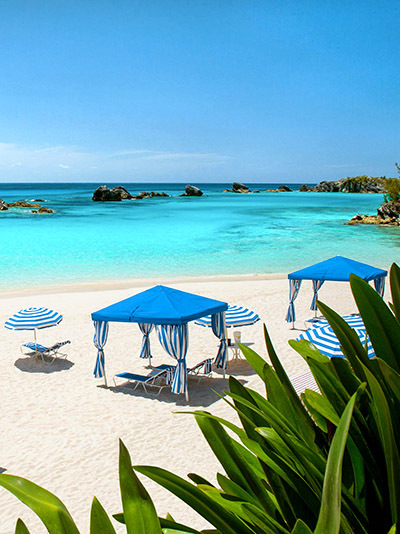 Is it endless vistas of turquoise waters lapping against white sands? Perhaps you envision craggy mountain peaks capped in snow or towering red rocks sculpted over centuries. Finding a luxury stay that’s perfectly suited to you is always our goal, and we’re spotlighting just a few properties from our collection where nature is always on full display. Our exclusive Hotels & Resorts Collection spans more than 975 hotels, resorts, lodges, spas and unique places to stay around the globe. When we reserve your stay, we’ll provide valuable privileges including complimentary breakfast for two daily, resort credits and free Wi-Fi, as well as early check-in, late check-out and a room upgrade, when available. Looking to escape to paradise? 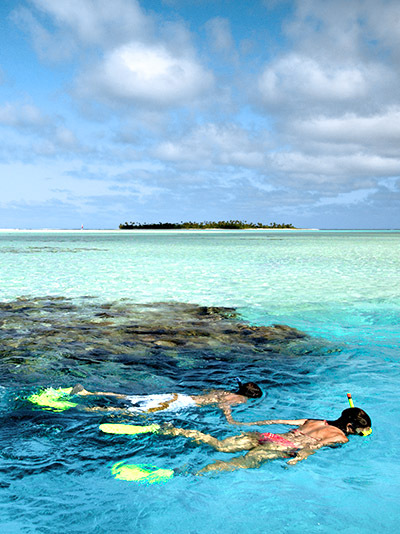 Surrounded by the stunning tropical waters of Aitutaki Lagoon and white-sand beaches, Pacific Resort Aitutaki is the ultimate, secluded South Pacific destination that’s brimming with adventurous activities and five-star luxury. Discover an enclave of romance, refinement and luxury. This five-star resort offers an intimate collection of 27 beachfront bungalows and villas, all within steps of the crystal-clear turquoise waters of world-renowned Aitutaki Lagoon. Immerse yourself in the resort’s luxury surrounds, enjoy the warm Cook Islands hospitality and you will be sure to leave feeling relaxed and rejuvenated with cherished memories of this idyllic paradise. Plus, all guests enjoy breakfast for two daily and complimentary Wi-Fi. 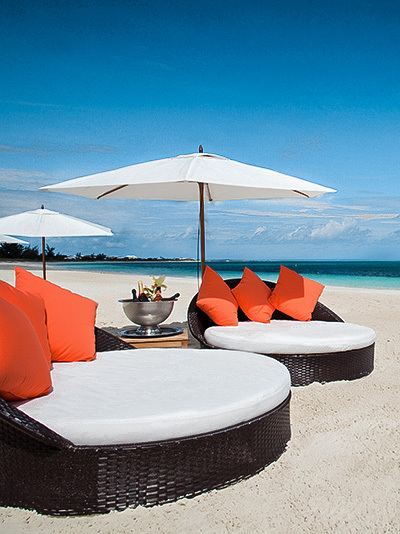 Gansevoort Turks + Caicos is the perfect spot to get away and relax this summer. Surrounded by turquoise waters and white powdery sand, Gansevoort Turks + Caicos sets the standard for a new style of luxury without formality. Luxuriate on Grace Bay Beach with your very own beach bed and indulge in fabulous cuisine. All 91 generous guestrooms offer sweeping ocean views and are designed to pay homage to the landscape. With private oceanfront terraces and sitting areas, oversized bathrooms and the latest technology amenities, the accommodations are second to none. Plus, all guests enjoy breakfast for two in STELLE daily and complimentary Wi-Fi. One of the world’s incomparable luxury resorts, Fairmont Southampton in Bermuda offers you and your family endless possibilities for recreation and relaxation including: the Turtle Hill Golf Club, an award winning 18-hole Championship Par-3 golf course; the 31,000-square-foot Willow Stream Spa and fitness center; Resort and Spa pools; an oceanfront beach club complete with shady chaise lounges; a PADI dive center; snorkeling rentals; water sports; tennis courts and more. The Explorers camp, available for ages 5-12, creates exciting adventures for kids to explore Bermuda’s beaches and nature trails so parents can experience the Willow Stream Spa or Turtle Hill Golf Course. Bermuda is home to the 35th America’s Cup race from May 24-June 28, 2017. Whistler is the fun, energetic mountain destination you’ve been dreaming of! Explore dynamic dining options, fill your shopping bags with unique finds and check almost any adventure or activity off your list here from serene to the most extreme. 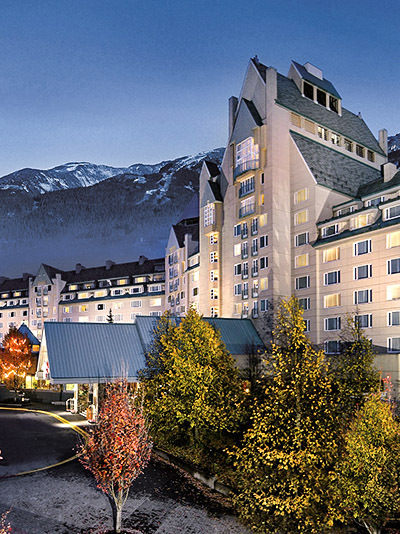 At the heart of it all, nestled at the base of Blackcomb Mountain is the Fairmont Chateau Whistler. Experience unsurpassed guest service and world-class amenities, spacious guest rooms including an exclusive Fairmont Gold Floor, exceptional dining, full-service spa, on-site championship golf course and endless outdoor pursuits on the doorstep. Plus, all guests enjoy complimentary Wi-Fi. Enchantment Resort effortlessly combines luxurious amenities and Native American influences to create experiences beyond comparison. 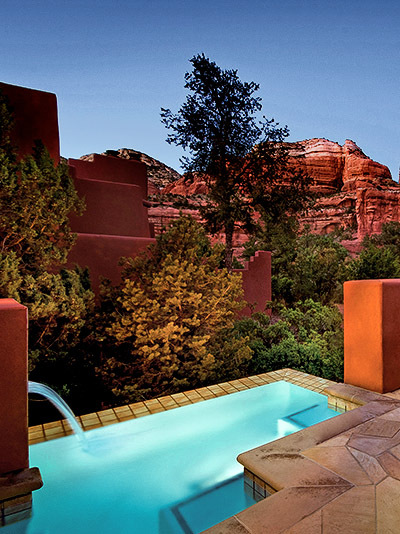 Set within the dramatic red rocks of Sedona, this resort provides the best life has to offer — a connection to nature, exhilarating adventures and deep relaxation. Guests can choose from a list of curated activities, and enjoy exclusive access to Seven Canyons Golf Course, and world-renown spa services at Mii amo, a destination spa. All rooms are located in separate, single story casitas and each one has a private deck, some with beehive fireplaces or kitchenettes. Plus, all guests enjoy complimentary Wi-Fi. Continental breakfast for two daily at any Restaurant. Also available through room service.